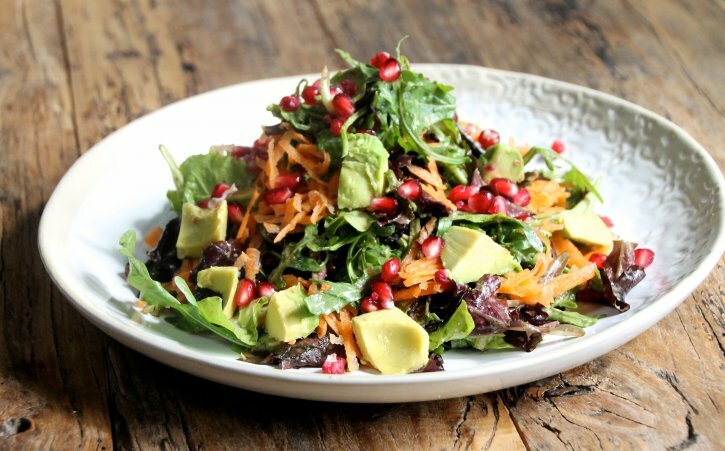 This is my go-to salad at the moment, as it only takes 5 minutes to prepare and is really filling and delicious. It’s also full of vibrant ingredients which make for a really beautiful plate, which for me is always happy making! 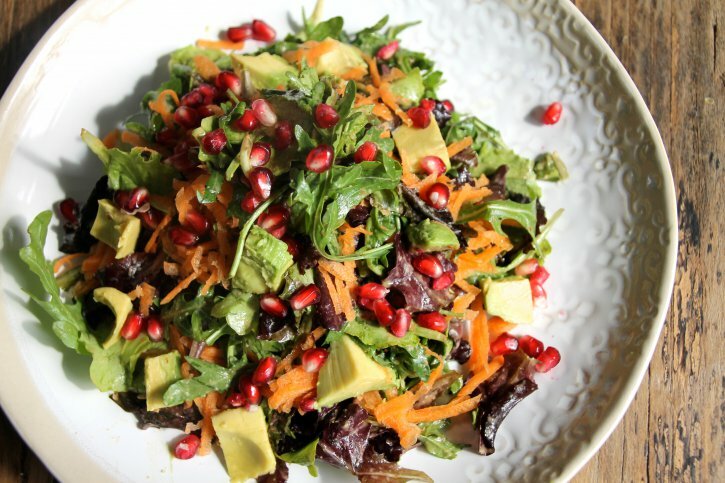 The soft baby leafs, with cubes of creamy avocado, grated carrot and a burst of sweetness from the pomegranate is a yummy combination on it’s own, but it’s the dressing that really makes this salad amazing. The dressing is made from orange juice, brown rice miso, apple cider vinegar and tahini. This fusion of sweet and salty makes for a showstopper of a dressing. It’s really rich and creamy, and takes this salad to a whole new level.